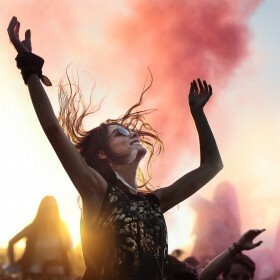 Festival season is fast approaching with Coachella marking the official start of festival season! At Fashiola we're looking ahead to a summer of music, dancing and sunny fashion. No matter what festival you are attending you're probably already planning your festival fashion outfits. If you're looking for inspiration for what to wear, the boho festival style is a definite winner! Every year the boho style is a hugely popular trend on the festival circuit. The best thing about boho style? It works for you! This trend works in a variety of styles: go neutral with natural shades and fabrics, be bold with embroidery and crochet detailing; say yes to embellishments or pick a few fringe accessories to transform into a boho-babe. If that isn't your vibe, don't you worry - scroll through the ultimate festival fashion edit, we've pulled together all your favorite shop's festival collections, from REVOLVE to ASOS. Whatever you're looking for, check out our edit below and shop the look today!